Have you ever tried to play your favorite slang word in Scrabble or Words with Friends only to be denied? You’re not alone. World-renowned entertainer Ludacris has paired up with filmmaker and tech entrepreneur, Edwin Benton, to launch mobile game Slang N’ Friendz. Who knew that actor-rapper-entrepreneur Ludacris was also a word game enthusiast! When he met Benton and heard his idea for Slang N’ Friendz, it was a natural choice to collaborate on the game whose aim is to unite people of different cultures through language. The app is the ultimate game for wordies as it lets you play both standard words and slang! In fact, the game rewards users with bonus points for slang words and contains urban dictionaries from around the globe- including Canada, Australia, Ireland and more- so that players can learn what slang words mean across countries. “In a time when so much of the world is divided, technology has the opportunity to bring us together. Slang N’ Friendz encourages users to connect, be friendly and identify what they have in common through language. It’s also a chance for different generations to learn about each other’s unique forms of communication and find ways to use language to bridge generation gaps,” said Christopher Bridges (Ludacris). We sat down with Benton to discuss his inspiration for the game and how he first met Ludacris. EB: Slang N’ Friendz is the byproduct of the frustrations that came from not being able to play commonly used words while playing traditional word games. I recognized the gap in the industry, and wanted to fill it with something culturally creative, relevant and diverse. The solution was partnering with my friends to create a mobile app slang game. For me, I like to think of Slang N’ Friendz as the word game re-invented! It includes a dictionary database of slang words from across the globe and gives players of all ages the chance to express themselves and learn in a way they’ve never been able to do through traditional games. PPLA: What made you decide to take the leap from idea to creation? Lots of people have good ideas but executing is another thing. EB: What made me create Slang N’ Friendz was the realization of how big the market is for a potential slang word-based game. Also, I had friends at my disposal who worked in the industry. PPLA: Your background is in the film industry, how did you become interested in tech and do you find the skills are related? EB: I went to school at the University of Utah and studied film, screenwriting specifically. I made the transition into tech because unlike the process of filmmaking (which can be incredibly slow), tech is a rather fast moving space. Creating apps and working in tech has allowed me to connect to with my creative side while still practicing writing; it’s truly a match made in heaven. PPLA: How did Entertainer Ludacris first hear about the idea? EB: Prior to our formal introduction, a friend of mine who works in the film industry, knew Luda’s manager and gave me his email address. I decided to reach out to Ludacris regarding my idea for Slang N’ Friendz. About a month later, I was at an event which Ludacris also happened to be attending. When I told him about the game, he said, “I saw your email, and I’ve been meaning to call you.” The following week, we had a meeting, and I came to find out that Ludacris is a “wordie!” He plays word games religiously to this day. Once we started speaking about the idea, he got really, really excited and it was a no-brainer to collaborate on Slang N’ Friendz. PPLA: What was his motivation for coming on board and what has his brand ambassadorship provided? EB: The partnership with Ludacris is a strategic partnership for the Slang N’ Friendz brand because he has a clean image and a solid way with words. He comes from the hip-hop culture, which slang is traditionally associated with, though we believe slang is really universal. Now, he’s reached a level in his career where he’s known globally. That aligns with our thinking. That’s another reason why our motto is, ‘United, we slang.’ Our goal is to connect the entire world through slang. He seemed to be a perfect fit because of where comes from and where he is today. PPLA: Why do you think this game is important to our culture right now? EB: Our culture is complex and constantly changing, so why shouldn’t the words we use to describe it also be? Ultimately, we want to allow people to “Express yo self” and our mission is to provide users a platform to do that and use their native ‘Slanguage’ to show where they come from. Its purpose is to connect people all across the world and allow users to learn more from and about each other. In a time when so much of the world is divided, Slang N’ Friendz encourages users to connect, be friendly and identify what they have in common. PPLA: What makes the game different from other word games? EB: We believe Slang N’ Friendz is the word game re-invented. It includes a dictionary database of slang words from across the globe and gives players of all ages the chance to express themselves and learn in a way they’ve never been able to do through traditional games. Players can challenge other users or play themselves. They can also customize their slang tiles and backgrounds, add music, their country flag, and other assets to personalize their profile. PPLA: What’s the most fun or unique aspect of the game? EB: We give our players “Slang tiles,” which can help players gain or lose points by playing them vertically or laterally on top of each other; an in-game coin currency system was also created to up-level the user experience and strategy, and an option to peek inside the “Tile Pile” to see what your opponent is working with. PPLA: Do you plan to expand from this app and create other mobile games or products? If so, what’s next? EB: We plan on expanding the Slang N’ Friendz brand into a board game in the near future so that people can physically come together to play Our company The Cat Apps will also put out other products. PPLA: If could play anyone in the world on Slang N’ Friendz, who would it be and why? EB: It would probably be someone who is no longer alive, such as Shakespeare. I think he would be amazing at this game! Shakespeare is responsible for most the majority of the words in our english dictionary. Shakespeare is the OG Slang Master. He’s responsible for over 1,700 words in the english dictionary. 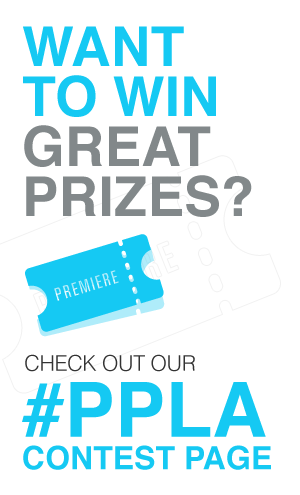 PPLA: What advice do you have for other young entrepreneurs thinking about getting into tech/building an app? EB: The advice I would give is to believe in your idea and don’t overanalyze the situation. When you believe your product is ready, start thinking about how you’re going to market it. Come up with a solid marketing strategy; marketing is the most important aspect in regards to standing out. Also, make sure you’re unique. What’s that one unique aspect of your product that differentiates you from the rest of the market. PPLA: Please add anything else you’d like our fans to know about you or the game. EB: You can play both regular words and slang words in the game. A lot of people are under the impression that you can only play slang words. Our goal is to connect as many people as we can from across the globe by adding slang words from around the world to our ever expanding dictionary. Also, you have the ability to communicate through the chat option. One thing to know about me, it takes a village and none of this could have been done by myself. Even though we have a small team, it was a group effort to bring this creation to the market. Duran, Archie, Kindari, Tina and Jamal… I owe them a huge thank you, couldn’t have done this without them! PPLA: What comes to mind first? Random Trivia/Fun Fact about You: I study extraterrestrial life forms! The game is available in the Android & iOS app stores, including iTunes here.